Handmade in Kansas City: Art That Blows? How could Art That Blows possibly be a good thing? Trust us, it is. The only thing about it that blows is possibly a few of the brass instruments that have been made into fabulous art to benefit Band of Angels. Art That Blows is the summer fundraiser for Band of Angels that takes place the second Friday in June every year. As we’ve mentioned before, Band of Angels is an amazing Kansas City non-profit who collect neglected instruments from the public, clean them up and give them to kids in need who wish to participate in band and orchestra programs. Some of the donated instruments are beyond repair. It is these instruments that artists from all over Kansas City use to make stunning pieces to be auctioned off at Art That Blows. Lamps, sculptures, fountains, jewelry, wall art and much much more is available. This year we will be donating 30 pieces of jewelry that will be auctioned off. We are already working on our pieces and thought we’d give you a sneak peek. Any guesses as to what instruments were used in each piece? We’d love to hear your guesses. Just reply to this blog to join in the fun. If you’d like to use our website as a cheat sheet click here and cruise our Band of Angels Collection. If you are in the Kansas City area we’d love to see you at Art That Blows this year on Friday June 9th. If you’d like to see some of the artwork from last years auction click here. If you have an instrument that is gathering dust at your house you can donate it at any Meyer Music location. 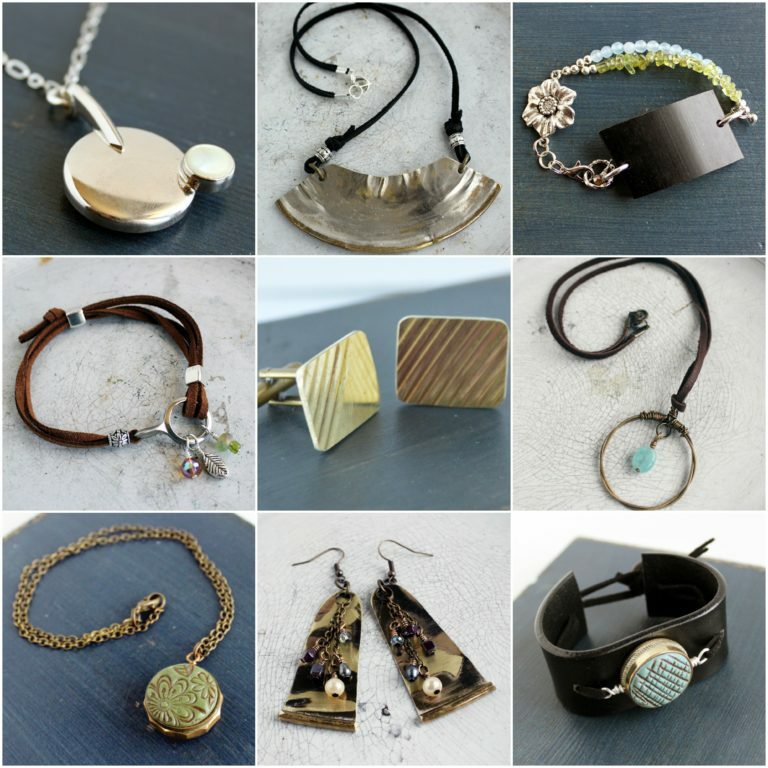 Thank you to Carolyn from HangUps Jewelry Designs for this post!